This cabinet was probably used to store fine tableware, such as porcelain. Traces of pigment indicate that it was originally painted. 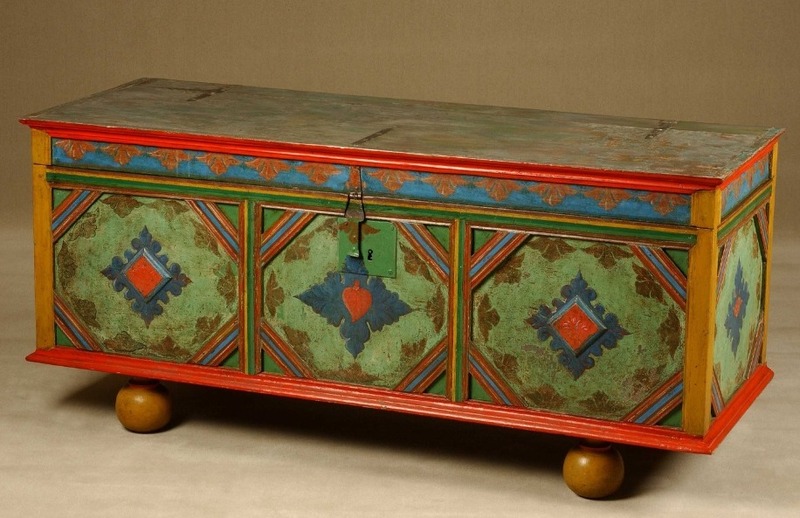 When a woman married, she carried her belongings to her new husband's household in a chest. She would then continue to use the chest to store her clothing, jewelry and other personal possessions. 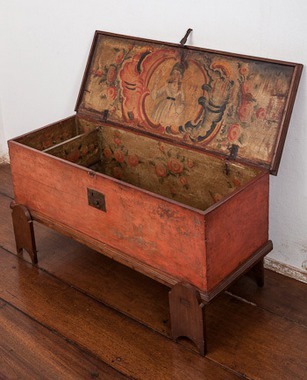 These chests were often adorned with imagery related to love or marriage. 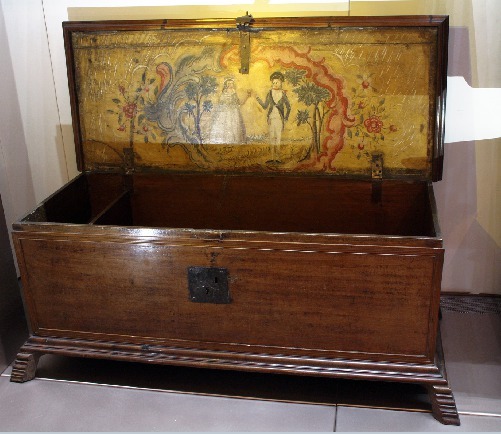 The marital theme is quite explicit on this chest which features the bride holding a heart up toward the groom. The heart in the central panel suggests that this is also a dowry chest.